UHC has remained in a shackled unachievable dream in Uganda due to the wave of liberalization and improper incorporation of the PPPs during the early 1990s into the health system with unclear regulations, objectives and conflicting interests. Public Private Partnerships (PPPs) are broadly applied in several purposes with diverse approaches in them. However, there are so many split-ups among the academics, governments and health economists about the uses of PPPs in health governance and financing, and demarcating their extent of synergy in health. Some scholars focus on PPPs as an inter-organizational planning and arrangement between institutional bodies in which PPPs are applied as management and governance instruments to enhance development strategies. Therefore PPP is a model of governance and management used by governments in building strong-novel approaches towards delivering goods and services to the citizenry through financial planning and arrangements between the public and private players. PPPs can also be defined as a lens of organizational relationships supported by cooperation of some sort of durability between the public and private individuals/institutions in which they conjointly develop and improve products and services, share risks, costs, and resources that are related to these products and services (Van Ham & Koppenjan, 2001). The contemporary forces of leadership have replaced the social progressive provision of state based health services with the mixed market-based health service provision. This has been propelled by the dormancy of the private forces determining the fundamental economic questions of what, when, how, where, and who to provide the health services in the trajectory of profit whims in Uganda. This is a private health system mechanism that comprises private healthcare packages cognizant of the logic of benefits and costs, and this has been mainly adopted by the private players under public private partnerships. Universal Health Coverage (UHC) is influenced by several social, economic and physical determinants of health which, when combined together, affect the health of individuals and societies. Whether people are healthy or not is determined by their circumstances and environment factors surrounding them. To a greater degree, factors such as where people live, the look of their environment, heredities, their income level and education status level, and their relations with family and friends have a substantial influence on their health. But the most outstanding influence of these factors is based on accessibility of health, which is directed by the health leadership and governance that apportions the powers of health service delivery to certain individuals or companies especially in the high expensive investment functions of the health sector such as insurance. UHC has remained in a shackled unachievable dream in Uganda due to the wave of liberalization and improper incorporation of the PPPs during the early 1990s into the health system with unclear regulations, objectives and conflicting interests which has been reflected through choosing inappropriate nature of unclear priorities, schemes and projects with solicitation of inappropriate PPPs in them, selecting wrong partners to work with, and making erroneous assumptions and forecasts about the future (Faria, 2018). 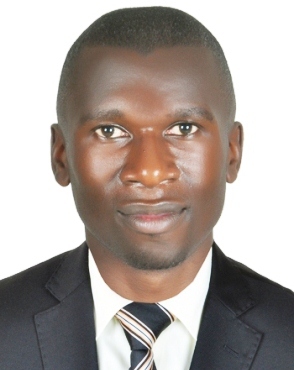 The woe with the PPPs in Uganda is that the lack of proper laws that can regulate their work framework adds to the absence of a well streamlined policy in place that directs how these partnerships should be designed and controlled. Unlike Uganda, countries such as Cuba have used PPPs to strengthen their Gross National Product through exporting labor especially Human Resources for Health who in turn remit the money back to the government in form of taxes to strengthen their health sector and build their economy in its entireness. UHC-centered political commitment for healthcare is a very influential initiative in transforming healthcare systems especially in directing the PPPs synergies and their extent in certain functions of the health sector (OLUGA, 2018). -Who should be held to account for the health infrastructural and healthcare financing in Uganda? -With the diverging approaches between public and private sector missions, how should Uganda successfully meet the global healthcare financing commitments and the SDG #3 of ensuring healthy lives and promote wellbeing for all at all ages (WHO, 2015)? In the modest stands, PPPs should be taken for what they really are or be reframed. They generally lack the fundamental public element and are more frequently profit-oriented, large-scale business ventures between the private sector and government of Uganda. For instance, the national health insurance scheme (NHI) in Uganda has delayed to be brought into effect due to the fact that the insurance service sector is dominated by the private players for whom NHI could be a threat to their business. This is worsened by the ownership of the biggest shares in the private insurance companies by the political state managers who direct the health governance of Uganda. They have applauded the fairly charged NHI service to be provided by the government but with two differing perceptions. In the high income developed countries in the global-north such as European countries like United Kingdom which have experimented PPPs for quite a long while, PPPs are termed as PFIs (Private Financing Initiatives), as the term PPPs was found unsuitable due to the lack of shared goals between public and private sector towards improving accessibility, acquirebility and availability of quality healthcare to achieve UHC global goal. In Uganda PPPs have become a driveway for politicians to propel fast their promises to their electorates in the constituencies they were voted without appropriate financial planning and, more terrifying, with exclusion of the active citizenship participation and questioning on the practicability, sustainability and the long-term financial costs on the taxpayers in paying for the private provided services. This is more eminent in the budget process of Uganda, where the views and priorities of the key force drivers of the economy such as the private players are prioritized first and overshadow the key public health issues of the majority population: most of the decisions undertaken by the government consider less the public engagement concerns and rely more on the interests and choices of the private sector (Zawedde, 2015). The drive path for the PPPs has been sturdily built by the G20, the UN and the World Bank as a means for consistent financing of the Sustainable Development Goals. But, are these partnerships as effective and health focused as they were envisioned? The approach through which they were presented and the neocolonialism economic intentions from the global north advanced economies inevitably show it was a tactic to stimulate global trade and diffuse the developing low- and middle- income countries into western multinationals’ and conglomerates’ expanding models. The research discoveries on emerging and developing markets portray PPPs as conduits for commodifying basic public services and shift the incidence of taxes to private companies, which has made PPPs a strong breeding ground for corruption especially in awarding contracts to companies that are aligned to the prominent political figures. The inadequacies of the PPPs are quite often revealed late when the impact misses the mark to be identified or when the not documented adverse implications emanate to bare. For PPPs to be meaningful, we must embrace a positive political commitment for healthcare as a powerful affirmative major drive in transforming healthcare system outlook in Uganda to achieve UHC. Certainly, high-level policymaking consultations and dialogues around both domestic and external health financing for health care access for all should identify the extent to which public health provision should follow the pattern of PPPs arrangement. This is because UHC entails a comprehensive health sector system transformational approach for which PPPs should be profoundly checked. However, this requires an atmosphere of good transparency, voice and accountability, consensus orientation, responsiveness, a strategic vision for health care provision and good effective governance with shared values and goals centered on refining healthcare results and strengthening the health system. Nowhere in the advanced or developing low-income settings across the globe have PPPs been long-established to be positively effective as a financing mechanism for the social services such as health care provision. This is a big caution to the way Africa is embracing them. Van Ham, H., & Koppenjan, J. (2001). Building Public-Private Partnerships: Assessing and managing risks in port development. Public Management Review, 3 (4), 593-616. Faria, J. R. (2018). The Triple Win: Rethinking public private partnerships for universal healthcare. London: KPMG. OLUGA, D. O. (2018). Healthcare: The dark side of public-private partnerships. Nairobi: Nation Media Group. WHO. (2015). SDG 3: Ensure healthy lives and promote wellbeing for all at all ages. Geneva: WHO. Zawedde, T. M. (2015). Budget allocation and community participation in Uganda’s health sector. Kampala: CEHURD.